A blog post, a social media share, or an article gains a lot of weight if accompanied with an appropriate picture. But more often than not, the problem with including a picture in an online post lies in the picture’s size. Let’s look at this problem from another viewpoint. Many software applications need to work with photos – picture editing & enhancing tools, photo monitoring websites, databases, etc. Large sized photos could mean bulkier applications that take more time to complete operations. Another take to the issue – email attachment limitations; you can only attach pictures within a specific size limit. Where there’s a problem, modern day technology presents a solution. And in this article we’re describing an awesome tool that solves the problem described above in a few clicks. 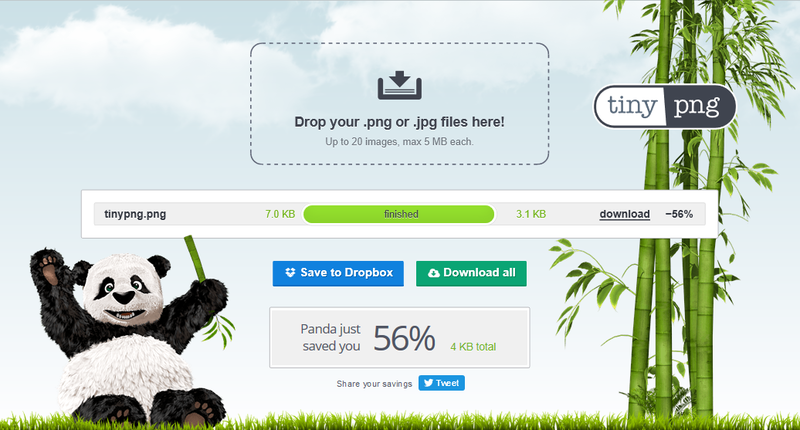 Introducing, TinyPng, online image compression tool that reduces your image file size without decrementing its quality. Let’s check it out. Have you ever faced image size issues while trying to upload self-taken photos online? If you want to upload a photo taken with a good quality camera like a digital SLR, high resolution Smartphone or any other point and shoot camera, the typical file size of images ranges in a couple of MBs. The higher a camera’s resolution, the bulkier the resulting images are with respect to disk size. And bulky images can not only be difficult to upload to social media, they are tough directly attach to emails, to share easily via collaboration tools, and can even cause performance problems in tools that work with them. Ideally, the solution to these problems is an image compression tool that can reduce photo size. But most image compression tools end up reducing image quality (clarity, resolution, sharpness, etc) during the compression process. 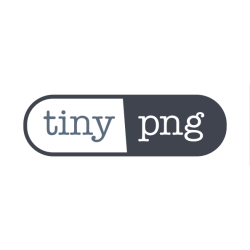 TinyPng is a great online tool that lets you optimize your PNG images by reducing only their file size, not their quality. The tool uses smart ‘lossy’ compression techniques to reduce image size by selectively decreasing the number of colors in it. The resulting images require fewer bytes to store the data. The effect is nearly invisible but it makes quite a large difference in file size. And the coolest thing about the tool is that it’s 100% free. What more can you ask for! TinyPng plays around with color indexes in image files and strips off unnecessary metadata to dramatically reduce file size. PNG files compressed using TinyPng do not lose their transparency factor. They still support 100% transparency. The files produced by the tool are displayed perfectly on all browsers and mobile devices. The tool allows you to use its Developer APIs to connect your server to it and automatically compress all your images on the fly. Sister tool TinyJPG.com performs the same operation on JPEG images. Thumbs up on the convenience factor since you can upload images directly or specify image URL. You can choose to preserve image details such as copyright information, GPS location and creation date in the compressed JPEG images. For PNG images the copyright information can be preserved. Facilitates image resizing along with optimization. Upload the original photo once and then generate the sizes you need. You can even use the tool to create image thumbnails with various aspect ratios through ‘smart cropping’ technique. Interested yet? We bet you are! Visit the tool’s homepage and you’ll see a large picturebox-like rectangle in the top half of the screen that says “drop your .png or .jpg files here!” So navigate to the files you wish to compress, drag and drop them into the box and wait for the tool to upload them to its online compressor. Depending upon your Internet connection speed and original image size, the image will be uploaded, compressed, and prepared for download within a few seconds. A green colored progress bar will help you track the whole process. Once the image is ready for download, you’ll see a textbox-like rectangle below the picturebox that lists image details such as original filename, original file size, procedure status, file size post compression, a download link for the converted image, and what percentage of file size you saved. With our test image, we were able to save about 82% of the file size. So an image that was about 1.5MB is size originally was compressed to a mere 265.8KB in about 3 seconds. Neat! You’ll also be given a link to either save the compressed image to Dropbox or Download it to your computer. In addition to providing image compression, the tool also offers a Photoshop plugin with which you can save compressed JPEG and PNG images directly from Photoshop. Once you install the plugin, a new menu option will appear in Photoshop from where you can resize, preview, select a folder and save your images. The plugin is available for Windows as well as Mac machines and it is compatible with Adobe Photoshop CS5, Photoshop CS6, Photoshop CC, CC 2014 and CC 2015. This plugin however, is not free of cost; you’ll have to shell out about $50 to get it. Free image compression for up to 500 images a month, maximum 20 images a day. Developer APIs for the tool are available for Ruby, PHP, Node.js, Python and Java. Tool plugins are available for WordPress, Photoshop, Magento 1, and Magento 2. In addition to resizing and optimizing, the tool performs additional operations on image automatically such as correcting gamma scaling, bicubic transparency edge correction and natural image sharpening. Smart cropping resizes images by cropping away image parts that are visually the least interesting. Great compression tool for PNG and JPG file. Just wish it could work with other file formats and larger photos. Posted September 12th, 2016 in Web Design. Tagged: compression, image, JPG, minimize, pictures, PNG, size, tool. Bloggers, article writers, online content writers / editors while good at writing, might not be great at clicking pictures. But that doesn’t mean they don’t use pictures to adorn their writings. After all, if you’re into creating read-worthy material, you know how much weight a photo can add to your writing. Various studies point to the same fact that as compared to a write-up full of paragraphs, a write-up with photos, infographs and charts attracts more traffic. So if you’re ready with your next brilliant article or blog post but just can’t seem to find the perfect picture to go with it, hop-in at Pexels – the amazing free stock photo collection. Pexels – Discover and Submit beautiful pictures for free! Pexels is a huge online photo library that allows anybody to use any of the pictures present therein in any way they want. Also, it allows people to upload awesome shots that they take and garner attention for their work. There’s no money or attribution involved anywhere. A user doesn’t need to pay for any picture, nor is a photographer paid for his submission. It all works in a mutually beneficial way – the submitter dedicates his work to the public domain and the user utilizes the work attributing the photo to the taker (if he wants to); even if the work isn’t attributed, well, it isn’t a loss for the photographer since it is eventually his work that’s circling the Internet. Pictures in Pexels’ database are licensed under the Creative Commons Zero License that waives off all rights on the work. A user can copy, modify, and/or distribute the work even for commercial purposes, all without asking permission. All the guys running the platform ask for is your support by way of a donation or by submitting your own photos and sharing them with the world. If only all things in the world were just as beautiful! In addition to offering free stock photos, Pexels also partners with Shutterstock to offer sponsored photos. These are pictures that are available for sale through Shutterstock. Just click on any of the sponsored photos and you’ll be redirected to Shutterstock’s page where you can buy it. Pexels can be your best launch-pad if you’re ambitious about photography and are looking for a break. Just create an account with the platform and start submitting your master-pieces. Who knows, your inspiration just might stumble upon one of your photos and really like it? And as a food, travel, history, business, wildlife blogger, if you’ve been waiting for a limit-less photo library where you can get as many beautiful pictures as you want with no strings attached, you need to look no further than Pexels. All-in-all, it’s a win-win platform for everyone. Other than this information, there are several little tricks that you can play with the tool. For example, there is a timeline displaying photos similar to the one you’re viewing; click on any to view its details. Additionally, there are several tags applied to each photo. Click on any tag to view other photos included under it. 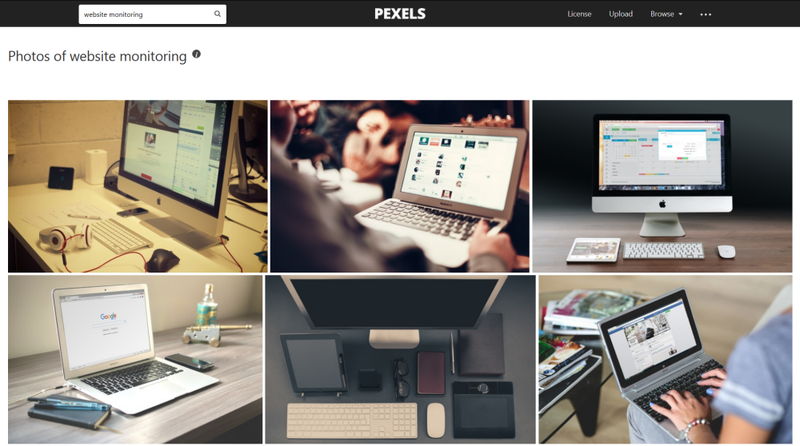 For example, if you click on the tag “people”, you’ll be able to see all photos that have been tagged under “people”. Moreover, another unique feature is color-specific photos. All pictures have a small color menu displayed beneath them which contains prominent colors used in the photo you’re viewing. Click on any of the color from the menu to see all images which use that color as a prominent one. Cool eh? You can “like” photos by signing up with the tool for free. It’s simple and quick! Once you have an account, you can also directly share photos from Pexels on your Facebook and Twitter profiles. If you wish to use Pexels to show off your work to the world, create a free account. Once through, you can start uploading photos. Once submitted, the Pexels team scrutinizes the photos and selects the best of the lot that are fit to be published. If you thought that was all, well, here’s a little more. Pexels also offers free stock videos under the Creative Commons Zero License. Of course, the videos are typically short, but they are high definition beautiful ones that can liven up any blog-post or article. Do check out their collection of free stock video by clicking on the three dots (…) at the upper-right corner of the screen. What’s more, the tool even has an API to offer. Didn’t they leave anything out? This section is actually pointless with regard to Pexels since the tool has absolutely no negative points. At least we couldn’t find any. Do let us know if you manage to. As far as the plus points are concerned, they’re pretty evident from the tool description above. 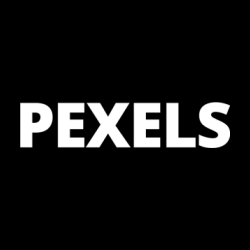 Sign up with Pexels as soon as you can to keep monitoring their amazing photo library if nothing else. After all, as mentioned earlier, Pexels is a win-win tool for everyone. We need more such tools/services/people out there to create the perfect world! Posted May 11th, 2016 in Content. Tagged: free, images, photos, pictures, stock.